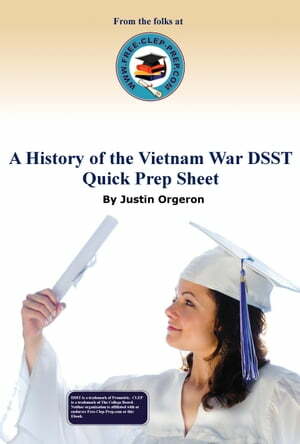 Collins Booksellers - A History of the Vietnam War DSST Quick Prep Sheet by Justin Orgeron, 9781935792024. Buy this book online. Basically, it&apos;s us doing 99% of the prep work for you. We&apos;ve taken input from the thousands of people who visit Free-Clep-Prep.com every day and put together a list of the terms and topics you&apos;ll need to know for the History of the Vietnam War DSST. We do the research and then teach what you need to know in an easily digestible way. All you have to bring is your appetite to learn.